Driving while impaired due to a prescription drug has become a problem in North Carolina as well as throughout the United States. If you were arrested for DUI due to impairment from a prescription drug you may have been surprised. You may have thought that you had to be drunk or that your blood alcohol content level had to be above the illegal limit of 0.08% or higher to be charged with a DWI. Although most drug induced DUIs occur when the driver is either abusing drugs or taking them without a prescription, it is possible for a driver to be arrested and convicted of a North Carolina DUI even if they were taking the drugs in a legal manner. To be convicted of a DUI for drug use the police officer generally will have the driver submit to a urine or blood test. These tests will show whether or not the driver has taken medication. Although you may have taken the medication according to doctors orders it is possible that due to the side-effects of the medication you were not able to safely operate your motorized vehicles. What do you need to do? You need to contact a DUI lawyer who can review your blood or urine test. They can also review your DUI arrest and make sure that the arrest and the blood alcohol content test were done property. What if I am arrested for a Drug DUI charge? North Carolina drivers arrested for DUI (whether it is for alcohol or drug use) can be have the following DUI penalties: 24 hours in jail, $200 fine and a 60 day to one year license suspension. 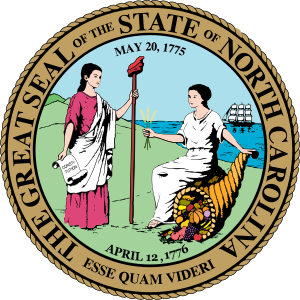 There is another wrinkle to DUI charges in North Carolina. If you are arrested and charged with a grossly aggravating factor, the court will penalize you more severely. North Carolina has what they call level one and level two punishments. If you are arrested for DUI and you have 2 grossly aggravating factors the court will impose a level one punishment. If you are arrested for DUI and you have 1 grossly aggravating factor the court will impose a level 2 punishment. We had a driver ask a question recently on our blog. They were arrested for DUI due to drug use and they had a minor child in the car- this can be considered a grossly aggravating factor and can result in more severe DWI penalties. Assuming the driver had no other grossly aggravating factors they could be facing 7 to 12 months in jail and a fine up to $2,000. So what does the court consider a grossly aggravating factor? The driver was convicted of a prior DWI within the last 7 years. The driver seriously injured another person driving while intoxicated. The driver had a child in the car under the age of 16. The driver was operating their motorized vehicle with a suspended license from a previous DWI offense. Any type of chemical or drug which impairs a North Carolina drivers ability to operate their motorized vehicle safely, whether illegal or legal, can result in a North Carolina DWI. Contact a DUI lawyer for more information.